Why have we brought you here? It's time to see the Phantom, of course! Tickets are now on sale for the national tour of The Phantom of the Opera in Boston. This reimagined production of Andrew Lloyd Webber’s classic musical will open at the Boston Opera House on September 13 and run through October 1. The cast includes Derrick Davis as The Phantom, Katie Travis as Christine Daaé, Jordan Craig as Raoul, Trista Moldovan as Carlotta, David Benoit as Monsieur Firmin, Edward Staudenmayer as Monsieur Andre, Anne Kanengeiser as Madame Giry, Phumzile Sojola as Ubaldo Piangi and Emily Ramirez as Meg Giry. 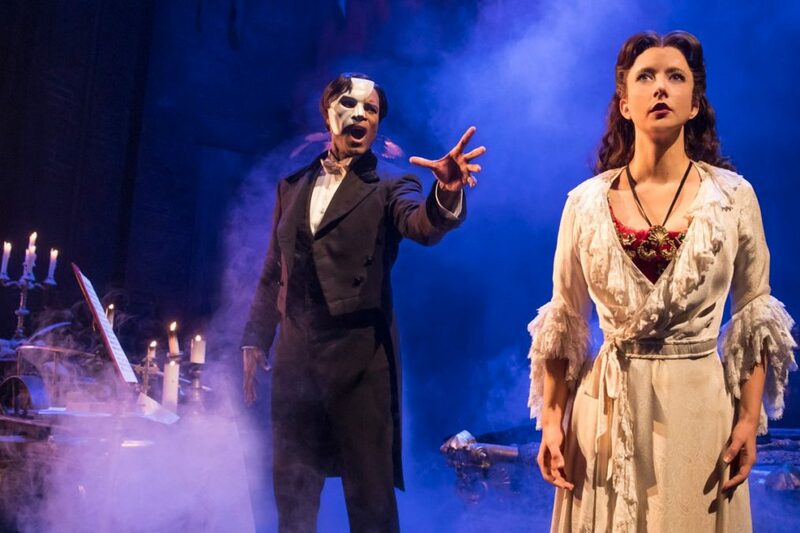 Watch the video below to find out why theatergoers are raving about this "phenomenal" new production of Phantom and get your tickets to see the show today!